This is a Factory German Heckler & Koch HK MP5 full auto 9mm bolt carrier from a refinished demilled police department trade-in parts kit. This is a factory German date coded part and not a rewelded semi auto carrier. 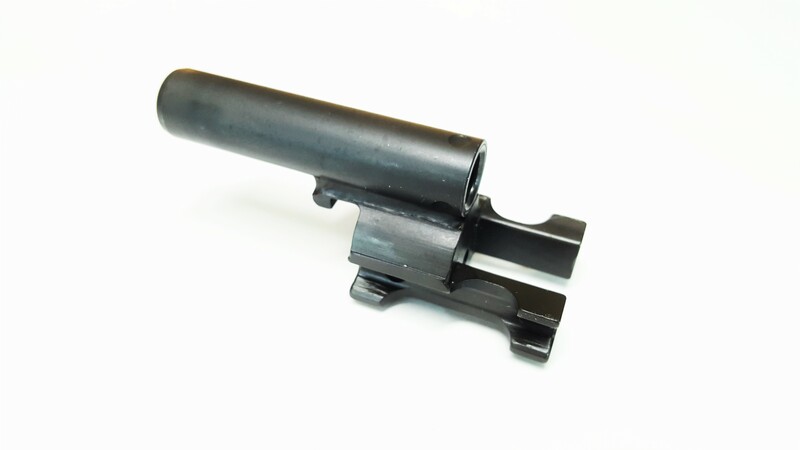 This is perfect for a H&K 94 / HK MP5 replacement part or as the core of a build.